EA has released two new gameplay trailers of the Battlefield 3: End Game expansion pack which includes Air Superiority and Capture the flag modes. Developed by DICE, Battlefield 3 and its expansion packs would be available to Premium players and also could be bought separately. So let’s head forward and see what kind of action do the new gameplay modes bring to Battlefield 3. The Battlefield 3: End Game air superiority mode is based around High-Speed warfare with Jets being the primary role model. The mode would feature a giant dropship floating in the air that provides combat support to ground troops and instant vehicle drops. Ofcourse, the four new maps which are vastly huge in terms of size would pose a great challenge for air combatants and would be a thrilling experience to drive a jet through the wind turbines as seen in the gameplay trailer. Overall we could see a massive increase in the jet count so looking at that many jets floating in the sky from the ground would be a great experience on its own. 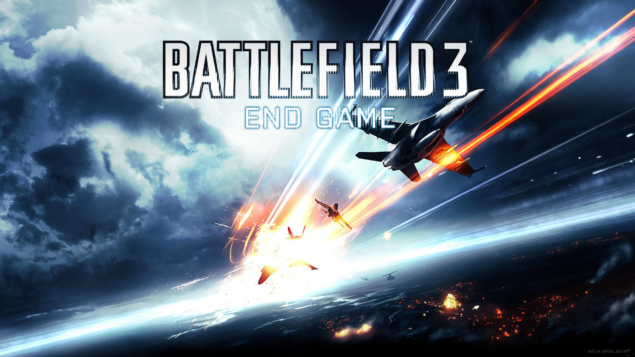 The Battlefield 3: End Game expansion pack would be a proper ending DLC for the amazing FPS that Battlefield 3 is. You can head over here to know more about the Battlefield 3: End Game expansion pack.